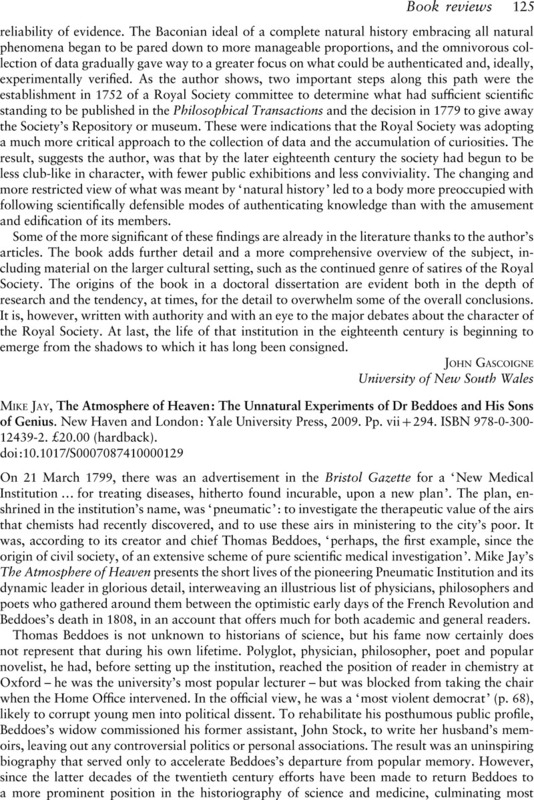 Mike Jay, The Atmosphere of Heaven: The Unnatural Experiments of Dr Beddoes and His Sons of Genius. New Haven and London: Yale University Press, 2009. Pp. vii+294. ISBN 978-0-300-12439-2. £20.00 (hardback).